Here at GAC we have been fans of wearable cameras since early 2009 and were the first fishing tackle retailer in the UK to stock them, selling to and advising anglers and hunters on how to get the best results from these awesome little gadgets! This part of the business has grown over the years and we are now Scotlands biggest GoPro stockists, the leading brand in the market and the biggest selling camera in the world! As such we always get a little bit excited at the launch of a new GoPro camera - and this one is no different! 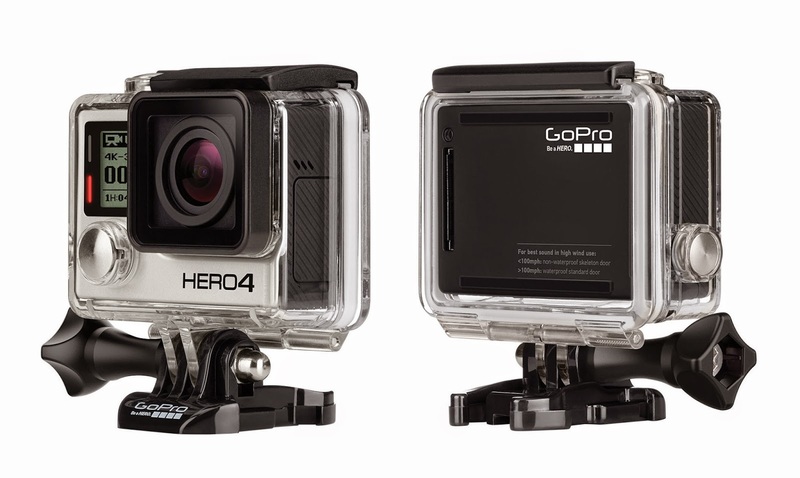 Say hello to the new GoPro Hero4 family and a range of new accessories! The new GoPro Hero4 Black Edition - Twice as powerful! 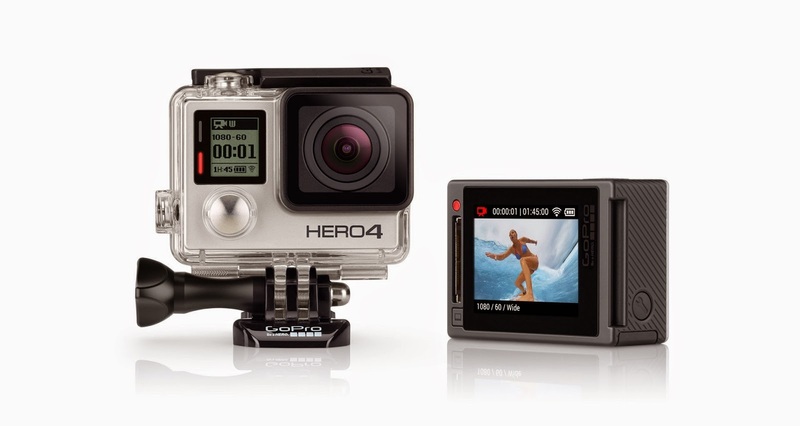 First up is the new GoPro Hero4 Black, the most advanced GoPro camera ever sold! Featuring improved image quality and a 2x more powerful processor with 2x faster video frame rates, the HERO4 Black takes the award-winning GoPro performance to a whole new level. Incredible high-resolution 4K30 and 1080p120 high frame-rate video enable stunning, immersive footage of you and your world. New Protune™ settings for both photos and video unlock manual control of Color, ISO Limit, Exposure and more. Waterproof to 131’ (40m) with 12MP photos at a blistering 30 frames per second and improved audio1, HERO 4 Black is the ultimate life-capture solution for anglers, hunters and outdoor types. Also available in Motorsport, Music and Surf editions - check out the GAC website for the full spec of these amazing cameras! The new GoPro Hero4 Silver Edition with built in LCD! Capture your fishing adventures in an all-new way with the new GoPro Hero4 Silver, the first-ever GoPro camera to feature a built-in touch display. Controlling the camera, framing the shot and playing back content is now ultra convenient - simply view, tap and swipe the screen. GoPro HERO 4 Silver captures 1080p60 and 720p120 video with life-like clarity, plus 12MP photos at a staggering 30 frames per second. New experience-enhancing features include HiLight Tag, which lets you tag video highlights for easy playback, editing and sharing, and QuikCapture, which allows you to power on the camera and start recording with the press of a single button. Waterproof to 131’ (40m), HERO4 Silver combines versatility and pro-quality capture with the convenience of a touch display. In simple terms it does everything a Hero3+ Black did and more for a fraction of the price! Also available in Motorsport, Music and Surf editions - check out the GAC website for the full spec of these amazing cameras! 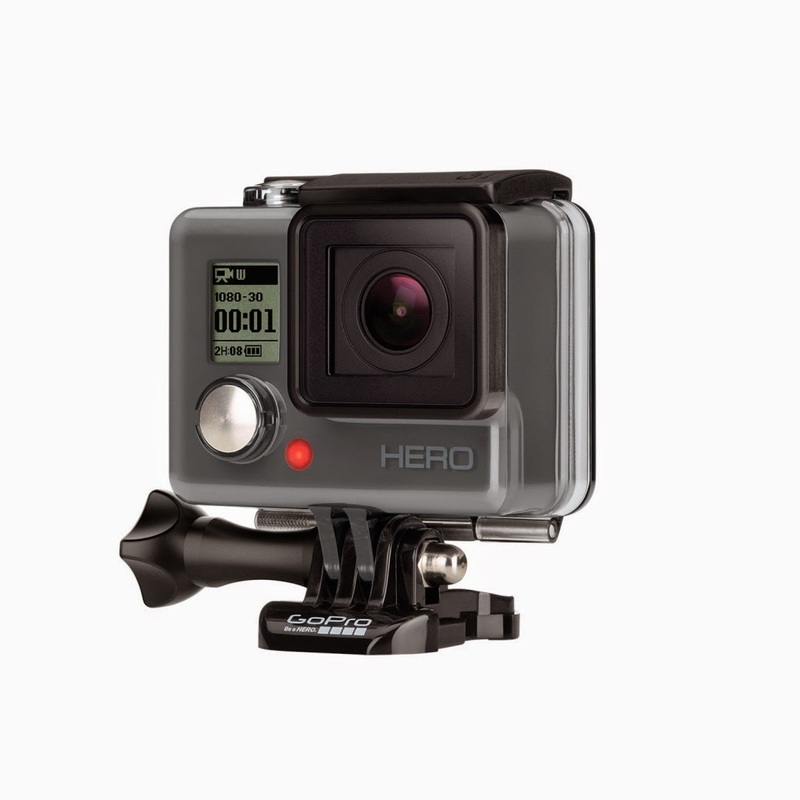 HERO - A proper GoPro for under a hundred quid! We never thought we would see a GoPro camera for just a hundred quid but here it is! The new GoPro HERO entry level camera makes it easy to capture and share your world. Featuring high-quality 1080p30 and 720p60 video, HERO captures the same immersive footage that’s made GoPro one of the best-selling cameras in the world. User-friendly modes include the new QuikCapture function, which lets you power on the camera and start recording with the press of a single button, and Burst Photo, which captures fast-action photos at up to 5 frames per second. Wearable, gear-mountable and integrated into a rugged housing that’s waterproof to 131’ (40m), HERO helps you capture photos and videos that make you look like just that: a HERO. These are sure to be at the top of everybody's Christmas list in 2014 and will probably sell out long in advance so order yours now from GAC by clicking here! As well as the new cameras there will be a whole host of new GoPro mounts and accessories to go with them and to fit the older cameras too! 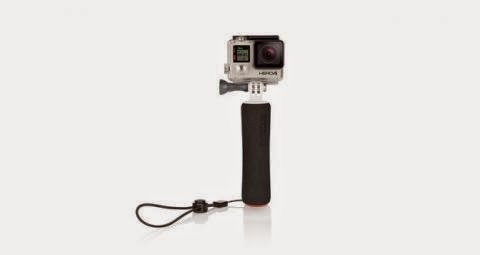 First up is the new GoPro floating hand grip they call The Handler. Whether capturing selfies, POV or follow cam footage, this buoyant hand grip delivers increased stability and control - making it easy to aim the camera and frame your shots with confidence. Perfect for boating, kayaking, fishing and any other water based activity as it floats any GoPro camera plus a BacPac accessory so you can shoot in and around the water with not a care in the world. Includes an adjustable wrist strap and The Tool, a new GoPro thumb screw wrench that doubles as a bottle opener. Compatible with ALL GoPro cameras! Control your GoPro remotely from distances of up to 180 metres (600 feet) with this wearable, waterproof remote perfect for gear mounted shots and controlling multiple cameras at once, You can capture photos, start/stop recording, power your camera on/off and adjust all settings plus when used with HERO4 cameras, you can also access the settings/tag button to easily select settings for your current capture mode and tag video highlights while recording to quickly find later. The Smart Remote delivers full control of up to 50 cameras at a time, and features 40% increased battery capacity compared to the original Wi-Fi remote - and it's cheaper! 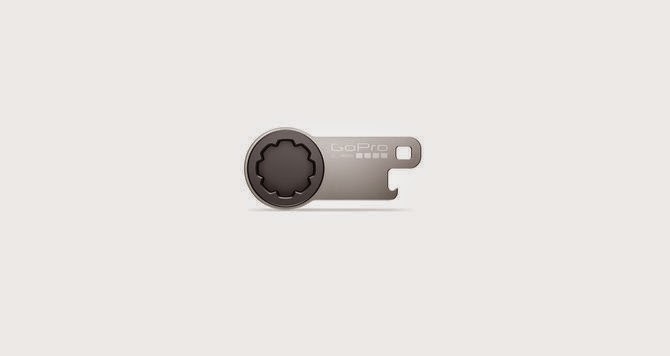 The Tool makes it easier to tighten your GoPro thumbscrews to prevent the camera from shifting during high speed, high vibrations activities and delivers the extra torque you need to get your thumbscrews tighter than you can by hand. It is perfect when mounting the camera using multiple extension arms or adjusting thumbscrews in cold conditions with wet, numb fingers. Plus as an added bonus - The Tool doubles as a bottle opener, so you can use it to crack a cold one as you toast another heroic day. Everybody who owns a GoPro will want one of these - and they are only a fiver HERE! All these new accessories and more, including a Hero4 Black specific LCD Touch Screen with swipe function, a new and improved Battery BacPac that fits all the cameras including old models, a BacPac Extension Cable and a GoPro Hero4 Dual Battery Charger are available to order now from the Glasgow Angling Centre website - plus most of the current range of GoPro mounts and accessories have been reduced in price so it's well worth revisiting those bits and bobs you felt were a little too expensive first time around! 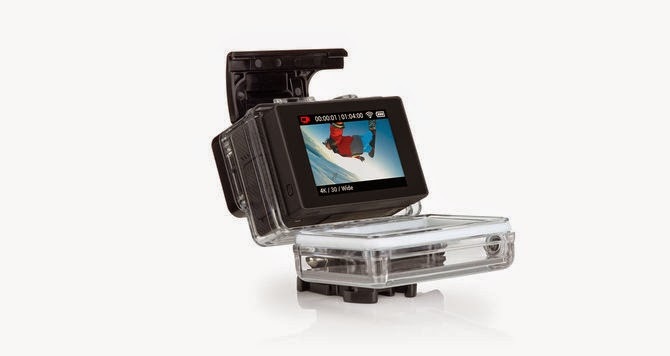 Here at GAC we stock every GoPro item that is available and if you need any advice just give us a shout! 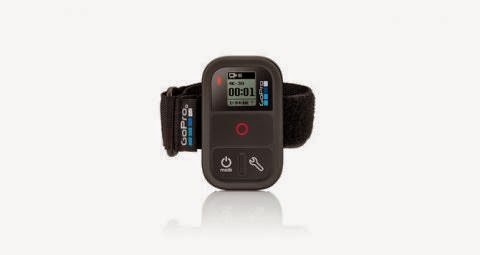 Buy your GoPro accessories from us either online or instore HERE!